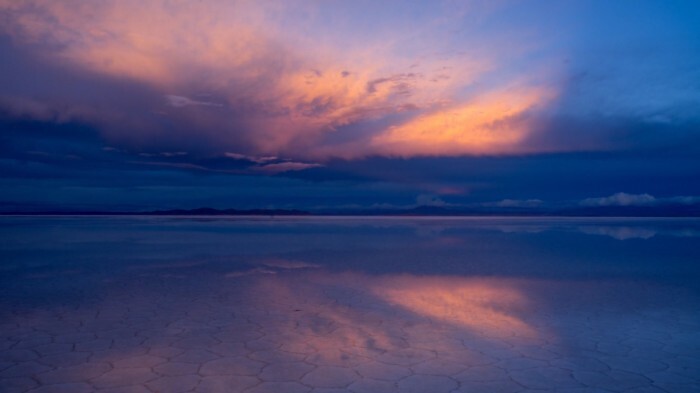 Salar de Uyuni is the world’s largest salt flat at 4,086 sq mi, and when it’s wet it is a remarkable mirror. 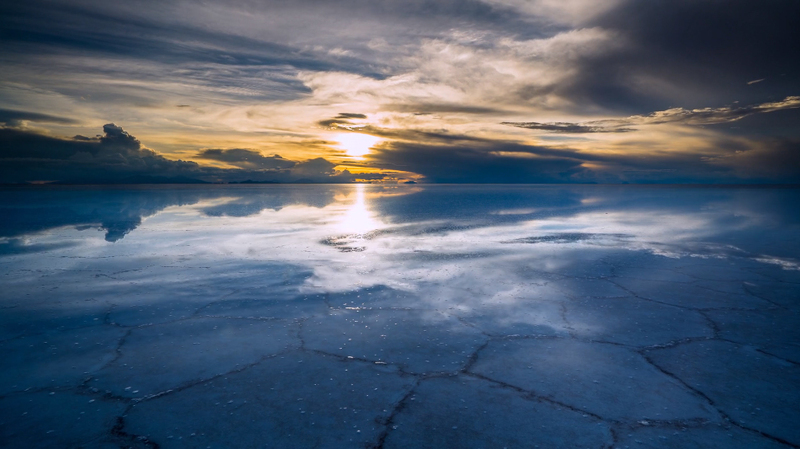 It’s been photographed thousands of times with striking results, and this time-lapse video by Enrique Pacheco is no exception. Found in the province of Potosí, Bolivia, the reflections produced by the water flooding in the rainy season create a mirror-like surface all the way to the horizon, “where the sky meets the earth forming an infinite mirage,” the video description reports.